Peyton Manning, star quarterback of the Denver Broncos, kept playing on an injured plantar fascia and is now sidelined. His plantar fasciitis has now turned into a partial tear which can be extremely painful to play on. This will also affect his planting on throws. Manning has been battling plantar fasciitis for weeks now, but continued to play while injured. He is now facing the consequences of that choice. Coach Gary Kubiak did not say how long Peyton would be out, but said that he would continue to be the starter as long as he’s healthy enough to play. This is a great example of what can happen if you play on an injury. As soon as you notice any pain in your feet or ankle, you need to be treated immediately to prevent further injuries or a long recovery. 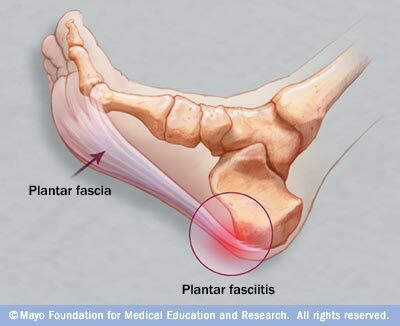 Plantar fasciitis is the result of the inflammation of the plantar fascia. The plantar fascia is a tight ligament that stretches from the ball of the foot to the heel bone. Manning is experiencing pain and inflammation due to the tear in this ligament. There are a few causes of plantar fasciitis, the main cause being poor biomechanics causing over pronation, weight gain, improper shoes, or an increased activity level. The best treatment for plantar fasciitis includes RICE (rest, ice, compression, and elevation), heel stretches, and orthotics. Some great treatment options, especially for Manning, or other athletes hoping to get back in the game sooner, are laser therapy and Cryotherapy. Laser and Cryotherapy are painless and minimally invasive and would allow the injury to heal quicker. The moral of the story- do not play on injuries! If you have an injury on your foot or ankles, you should be seen by a doctor immediately! Getting treated early will help to prevent lengthy recoveries, as well as further damage. If you think you may have plantar fasciitis, call our office to be seen immediately.